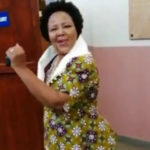 THE trial of Katrina Hanse-Himarwa was postponed until May 22 for the state and defense counsel to prepare their heads of arguments that will be submitted on that date. This was announced shortly after the defense closed its case, with the last witness Lydia Ganeb, who was the Deputy Mayor of Mariental when the allegations against Hanse-Himarwa started making rounds. Throughout the trial, Hanse-Himarwa maintained her innocence. The state is expected to file its heads of argument on 17 May and the defence will do so on 20 May. Hanse-Himarwa, who was governor at the time of the alleged corruption, claims that the Anit-corruption Commission made concerted efforts to incriminate her, in the manner in which they carried out their investigations. She further claim throughout testifying in her own defence that the witness statements contain striking similarities and that there was a clear connivance against her. Video: Education Minister Katrina Hanse-Himarwa at the Windhoek High Court.